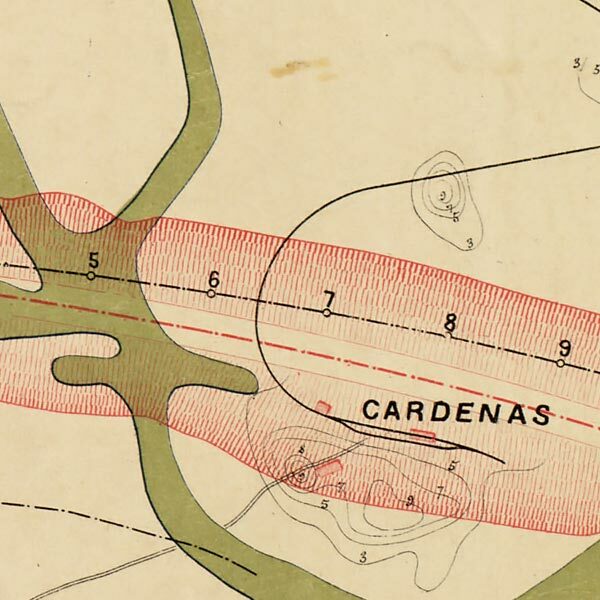 Map of the proposed route of a Panama Canal, from 1895, Part I. This map isn't part of any series, but we have other engineering maps that you might want to check out. The history of the Panama Canal is, of course, a fascinating one – and well-worth the read. The next chapter? A possible expansion, as shippers are increasingly finding the Panamax limits stifling. Map from the Canal Zone Library-Museum.